Trying to find a great Chevy dealer in WI that can help set you up with the car of your dreams? At times, it can feel like you’re looking for a needle in a haystack. You want a Chevy dealership near you that can offer the full package in on convenient place. No matter what kind of car, truck or SUV you’re in the market for, you’ll want to locate a dealer in your area that combines a terrific vehicle selection with outstanding customer service. Finding car dealerships in Watertown WI that can provide this combination is easier said than done! When you’re on the hunt for your next new or used car, make Ewald Chevy your first stop. For over 50 years, Ewald’s has been proudly serving customers from Watertown WI and surrounding areas. We’ve got a knack for assisting local vehicle shoppers in finding the ideal cars to suit their needs, lifestyles, and budgets. Our committed team of friendly salespeople is ready and waiting to help you determine the right make and model of car to suit your family’s requirements. We carry the full lineup of new and used Chevy cars, trucks and SUVs as well as many pre-owned vehicles from other top automakers. When you browse our vast selection of cars for sale near you, you’re sure to end up with something that will keep you driving happily for years to come! Ready to get started on the search for your next vehicle? You can browse our entire vehicle inventory online to get a taste of all that we have to offer. From fuel-efficient sedans to power your commute to robust pickup options with heaps of towing power - we’ve got the cars in stock to suit all kinds of driving needs. So, you’ve decided that it is finally time to say goodbye to that old car you’re tired of driving and get into something newer. That’s great! With all the outstanding vehicle options on the market today, there has never been a better time to start the hunt for your next car. However, you might not be certain exactly what kind of car or SUV will make the best match for your situation. There are a myriad of things to consider when choosing what kind of vehicle to take home next. You’ll want to think about how you’ll be using the vehicle, what features you want and how much you can afford to spend. Luckily, you don’t have to go it alone! We employ a team of friendly car experts who are eager to help you explore your options. They’ll listen to your needs and wants so that they can recommend options that will make a fantastic fit. Of course, you’ll have plenty of room to browse our vast car selection at your own pace. You can take your time in deciding which of our countless vehicles is the perfect one for you. You might already have a particular car, truck or SUV in mind. If so, we’ll be glad to help you locate it! If you’re like many of our customers looking for car dealers in Brookfield WI, you might not be entirely sure which vehicle will best fit your lifestyle. That’s perfectly OK! We’re here to help you determine just that. Perhaps you’ve been looking for a reliable and economical sedan to handle your daily driving requirements. In this case, the Chevrolet Malibu would make an excellent pick. 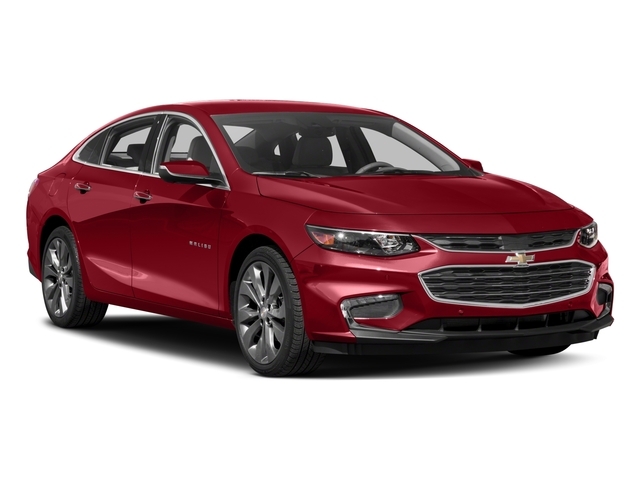 This sleek and sporty sedan is packed with plenty of desirable features and Chevy innovations that make it an all-around joy to drive. Powered by a peppy 1.5L DOHC Turbo engine, you’ll enjoy an exhilarating driving experience as you dominate the local Wisconsin highways. The eye-catching exterior styling in an array of alluring colors is sure to turn heads. As far as interior and technology features are concerned, the Malibu does not disappoint. A built-in WiFi hotspot means that you can stay connected from anywhere with reliable internet access. The rear backup camera is a huge help for parking and reversing in crowded spaces. Find your Malibu or any of our other cars for sale near you at Ewald Chevy - your Chevy dealer in WI! Once you’ve picked out the car, truck or SUV that you want to take home, there’s just one last step before you can drive it off the lot. You’ll need to obtain the affordable financing that your situation demands! At some other car dealerships in Watertown WI, you may have to go through a lengthy and frustrating financing process. Here at Ewald Chevy, we strive to make it as easy as can be to secure the right car loan for your needs. To begin, you can get pre-approved for a loan online! With just some basic financial, employment and residential information - you’ll be well on your way to financing the vehicle of your dreams. Don’t settle for the confusing and time-consuming financing at other car dealerships in Brookfield WI. Trust Ewald Chevy with all of your finance needs.